The Landmark Society’s 2013 Preservation Awards will be presented this year at a special event on Sunday, November 10 at 3:00 p.m. in Rochester’s historic City Hall, the spectacular Richardsonian Romanesque landmark located downtown at 30 Church Street. The Awards are given each year to individuals and organizations in our nine-county area who have made outstanding efforts in the preservation of their homes, historic properties, and landscapes. In anticipation of the upcoming Awards Ceremony we will be featuring some of this year’s award winners. 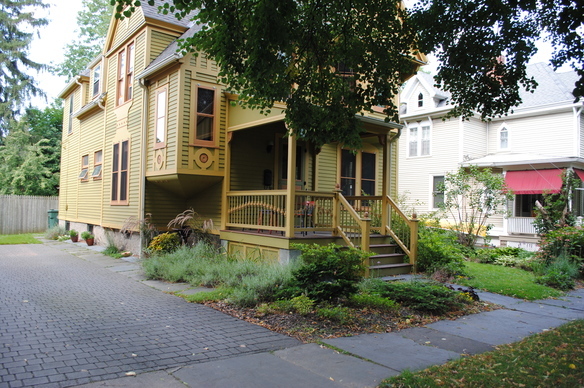 The Historic Home Award is given to owners of private residences for their continued care of and commitment to the preservation of an architecturally significant house over a minimum of seven years. 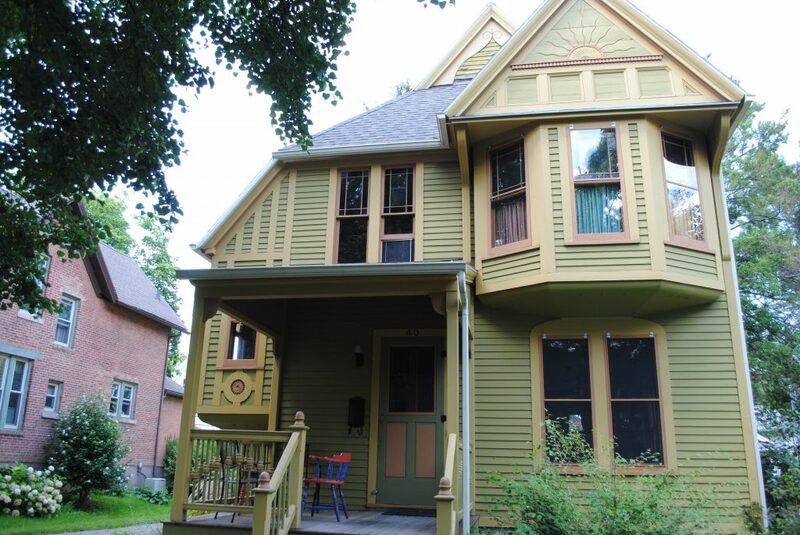 This handsome, late-19th-century Queen Anne house was one of the homes constructed by the Ellwanger and Barry Realty Company in the Mt. Hope neighborhood, when their new residential development was established in the 1870s. Built between 1875 and 1884, the house was the home of two generations of the Charles Houston family, who lived here from the early 1880s until the late 1940s. Subsequent owners, however, remodeled the exterior, covering the wood clapboards and decorative details with asbestos siding. Original porch detailing was replaced with wrought iron railings and columns. The interior was divided into two apartments. 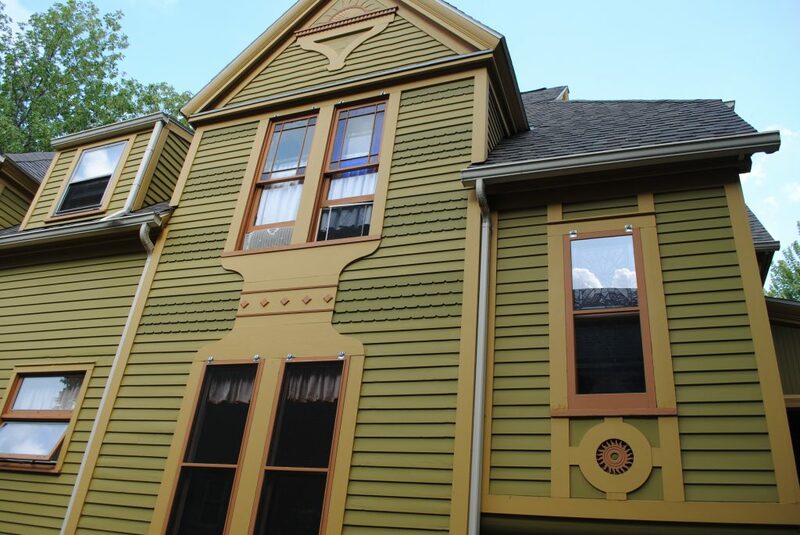 Through a careful and extensive rehabilitation, the Coopers removed those inappropriate changes and restored the original clapboard, porch, tower, and decorative woodwork. New wood storm windows and storm doors were installed. This exceptional rehabilitation is further enhanced by a historic color scheme, which highlights the original architectural design of this distinctive residence. Visit our Success Stories page to see more previews of this year’s winners and check out winners from 2012! This entry was posted in Success Story, Updates and tagged Mt. Hope, Preservation Awards, rehabilitation by Anika. Bookmark the permalink.